Simon from AditNow asked me in my capacity as a seasoned mine explorer / caving to try out a StenLight. I keenly accepted his offer, and tried the light over a mining weekend in October 2007. We visited two lead mines, one in Scotland, the other at Nenthead. The trip was a CATMHS trip. Other explorers generally had Oldham gear, although my usual rig is a SpeleoTechnics FX Headlite (the NiMH type with a 0.85A / 4.0V bulb) with two helmet mounted batteries. 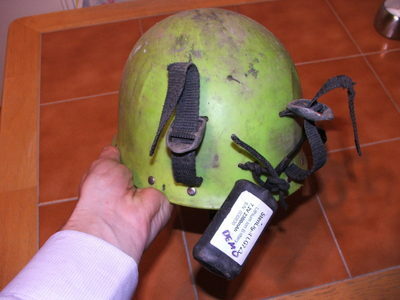 Helmet mounted batteries are a great improvement over the belt mounted batteries that some people favour. You don't have that cable to get caught on the ceiling when crawling, and you can pop your helmet off easily for very tight bits. 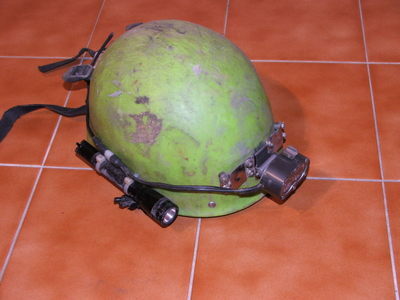 I've never looked back since getting my helmet mounted batteries. Initial impressions from handling the Stenlight were good, the unit & battery are very light, and seem well mechanically engineered. 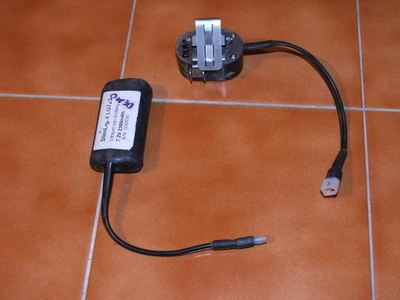 The control switch is easy to use too. Simon had fitted the wide angle lens to aid getting about (i.e. not falling over the floor). 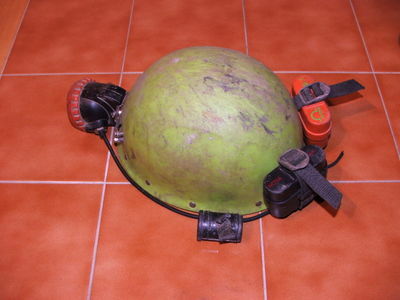 The first exercise was to attach the lamp to my helmet. The lamp itself fits on a standard cap-lamp bracket. In fact the clip is very good and mounts securely. The Stenlight clip has a spring feature in itself, so there's no need to bang the helmet bracket with a rock! The Stenlight on my helmet weighs in at 0.86Kg, 0.53Kg lighter which is significant! The first trip was pretty much entirely SRT with a short bit of neck deep wading at the bottom. The first shaft of 40m and the second shaft of 25m were descended and ascended with no trouble. I'm not in the habit of looking up or down much, but the light was perfectly adequate for vertical stuff. In fact I usually run on sidelight when SRTing. Whilst waiting at the top of the 25m shaft, we took the opportunity to compare the light with the Oldham light and the Speleo FX3 that somebody had. In terms of outright range, the Stenlight performed the poorest. The FX3 and Oldham could quite easily pick out the bottom of the shaft. You could see their beams clearly in the mist in the shaft, and it's clear that they are almost parallel. The Stenlight struggled, the beam was wider (probably due to the wide angle lens being fitted), and although you could see the bottom (you could see it was flooded), it wasn't so good. For navigating the levels I found that I didn't need the highest setting, probably the middle one in fact, which would give a very long battery life. Longer than I'd like to stay underground for in one go at any rate. For the Sunday trip I fitted the narrow angle lens to hopefully allow a direct comparison to be made. This gave me the opportunity to take a look inside the unit. It's packed with electronics, which shouldn't be a cause for concern, provided the unit stays sealed. It does mean however that a fault is not a DIY proposition to repair. We headed up to Middlecleugh (which had recently been cleared and rebuilt by John Brown + team, part of CATMHS) to explore some of the sumps. The whiteness of the LED gave a spectacular effect in the entrance adit being particularly well reflected by the white coating in the upper part of the level. The trip was pretty straightfoward North Pennines stuff, a few good bangs of the head on the usually unstable ceiling. We abseiled down a few sumps, to no avail as it turned out. Again it was hard to judge with the Stenlight whether it was worth descending or not, but I think that with any light there's a chance you'd miss something without actually making the descent. The Sten behaved perfectly throughout. Afterwards I tried an outright battery life test. For comparison, my FX Headlite lasts about 4½ hours per cell on full power. I switched on the Stenlight at full power at 9am in the morning. It finally went out around 6am the following morning. As time went by, the light got progressively dimmer, before presumably shutting off to protect the battery from becoming over discharged. That gave a total run time of 21 hours which in my opinion is pretty impressive! And that's from a single battery. 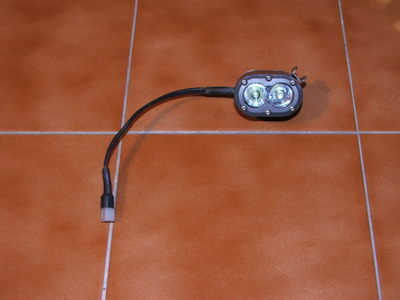 In conclusion the Stenlight is a worthy device when compared to my FX Headlight. It's lighter, the battery lasts much longer , and has more brightness levels. The swivelling headlamp mounting is also a good idea. The battery charger is also a sophisticated piece of kit (unlike my Headlight one which is lousy) and it charges the batteries quickly. The Stenlight also a very well engineered piece of kit. The raw long range light output is not as good as a halogen lamp, although it's more than good enough for all the trips that weekend. I suspect that in big slate quarries the difference might be more apparent. The case gets very hot after a few hours on full power, but that might be a bonus when you're down a cold wet cave!. 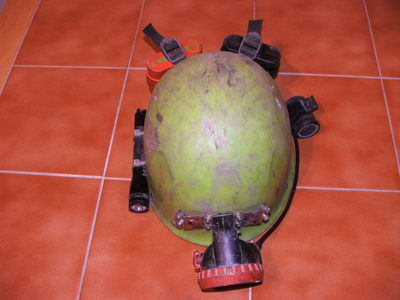 Overall it's a good quality product, and should be seriously considered by anybody into caving or mine exploration. I recommend going on a trip with somebody with a Stenlight to check it out.